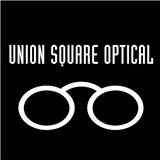 Union Square Optical (New York) - Book Appointment Online! Providing New York City with top quality eyewear since 1985. We carry the latest designs by Tom Ford, Chanel, Cutler & Gross, and many more. I've been visiting Dr. Sarantakos for years - he is great and his staff is always on point.